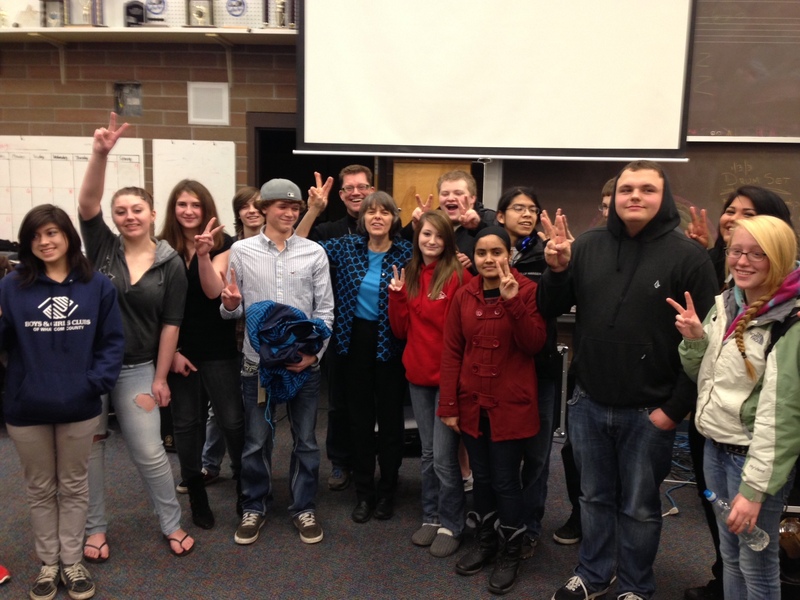 We took some time off from Tinker Tour planning today to speak to students, teachers and school officials at Ferndale High School (Ferndale, WA) and later at Western Washington University (Bellingham, WA) to students and a great followup press conference (the Tinker Tour’s first press conference!) 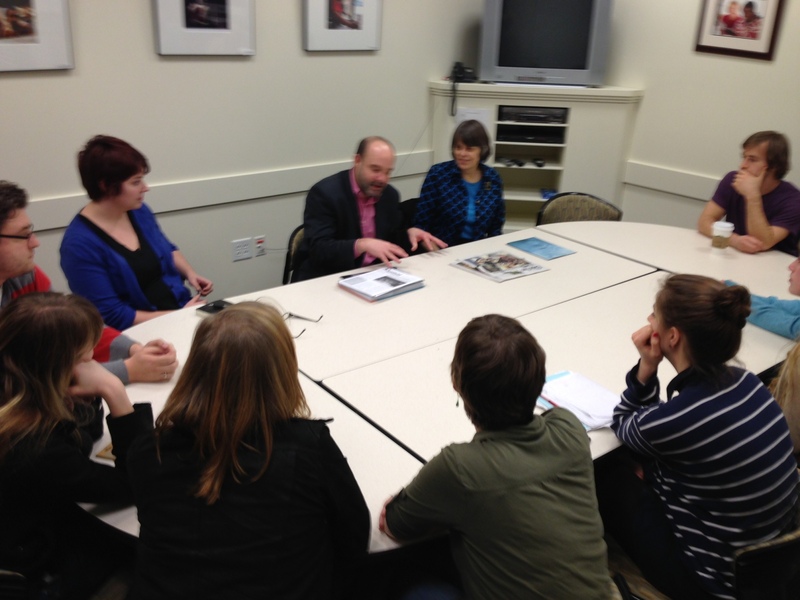 with the editorial board of the Western Front. Looking forward to our get-together with students and teachers at the Washington Journalism Education Association Convention on Saturday. 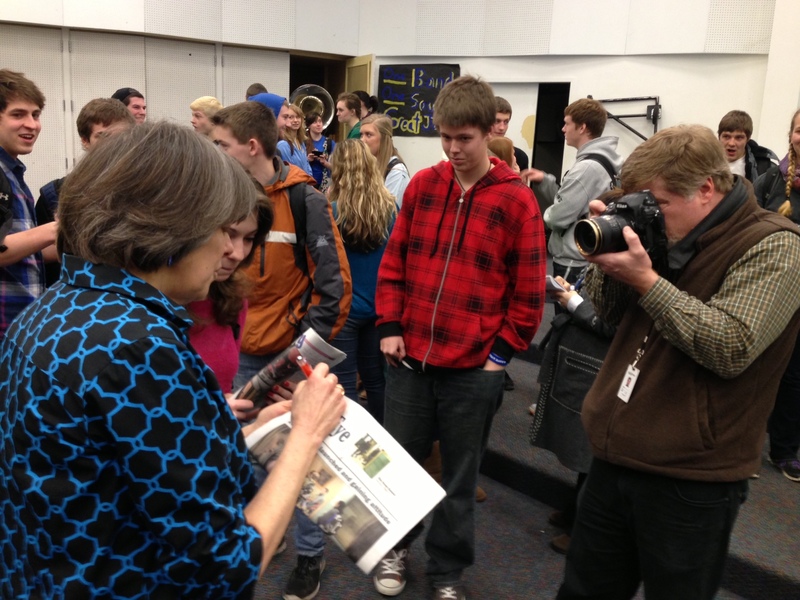 May Beth Tinker autographing copies of the Ferndale High School student newspaper, The Eagle Eye, for its student editors. 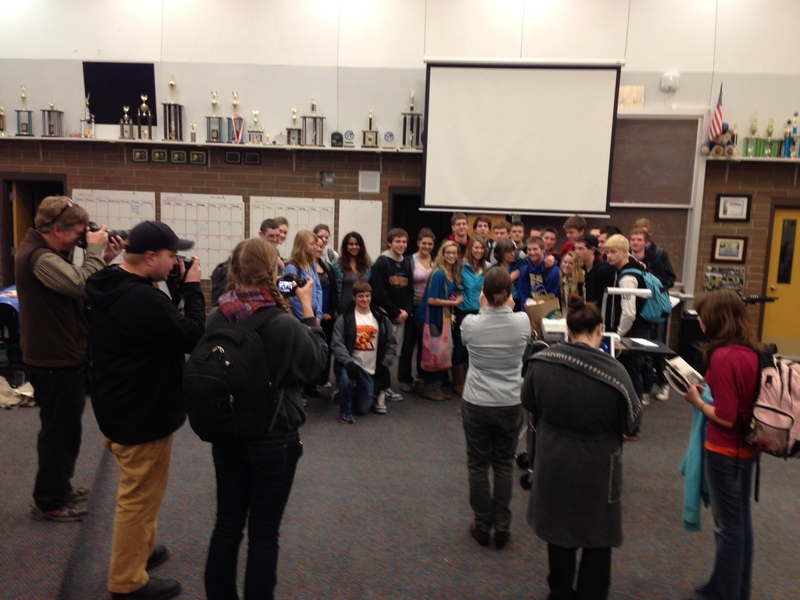 Ferndale High School (WA) students showing the Tinker Tour some Love!